From our ancestry to potential health risks, our genes can tell us a lot about who we are. And there are plenty of mail-in DNA kits that claim to uncover anything from our sensitivity to certain foods to the origins of our distant relatives. “The value of DNA tests depends on the type of test,” says A. Cecile Janssens, a professor of Translational Epidemiology at Emory University. Ancestry-focused DNA tests such as National Geographic Geno 2.0 kit that can trace someone’s lineage back thousands of years have been popular in the multicultural U.S. where finding out where their ancestors originated from can be an exciting mission. “Ancestry tests are useful if someone wants to find out if they have particular tribal heritage, or if they don’t know much about their family background,” Janssens says. What’s more, if a family member, no matter how distant, also took the same DNA test, the service can connect you. But not all DNA testing kits are created equal. Depending on the source of their data, DNA testing kits offer various levels of accuracy, and one may be far more appropriate than another depending on your family's geographic or racial origins. Ancestry DNA tests work by comparing chunks of an individual’s DNA against a database of samples hailing from different regions. Therefore, their ability to accurately discover someone’s ancestry depends on the size of the database and the volume of samples from regions where a particular person hails from. 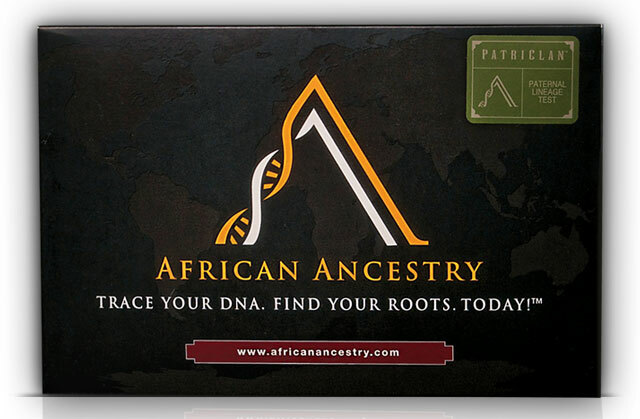 African Ancestry, for example, is aimed at helping those with African backgrounds pinpoint where their ancestors may have lived, with a uniquely large and varied database of African lineages across over 40 countries. Other services, with fewer samples in less varied African regions, would provide a less accurate regional analysis. DNA testing also creates numerous privacy issues that you need to be aware of before you place your saliva in that sample vial. Who will have access to your DNA results today and in the future? Can your test results be deleted? Are you ready to deal with the possibility that you may have surprise relatives in your family tree or that maybe you're not who you always thought you were? We asked the experts about the state of DNA test kits today, address some of the concerns and share our recommendations for which DNA test kits may be best for you. Finding out you have a higher genetic risk for some diseases might prompt you to take action by heading to your doctor and booking a medical test earlier than you might otherwise do. However, DNA tests cannot reliably predict whether you will develop many other diseases such as heart disease or diabetes, which are highly impacted by lifestyle factors. “There are gene markers that point to an increased risk of heart disease, for example, but the impact is minor compared to factors such as diet and smoking,” Janssens. Health screening results are therefore not always straightforward to act on – and in many cases can cause unnecessary stress. A positive result for a gene marker for a particular disease may not signify that a condition is imminent (because many conditions are controlled by multiple genes), but is likely to be traumatic news to receive. 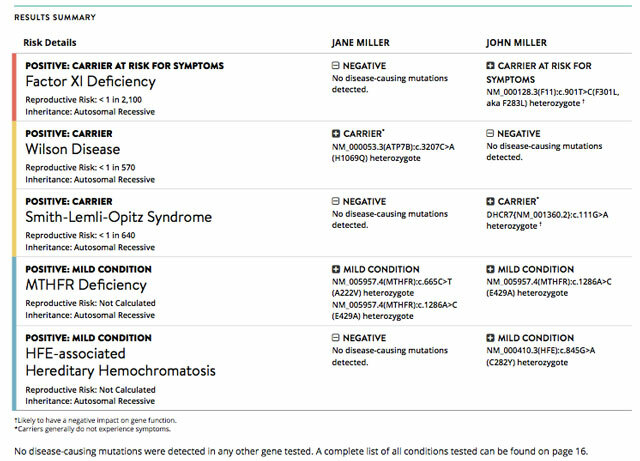 23andMe – similar to other genetic testing companies that analyze health risks – points out its results do not constitute a diagnosis, and that reports “describe if a person has variants associated with a higher risk of developing a disease, but does not describe a person’s overall risk of developing the disease”. The service recommends that users contact its counseling service before undergoing health screening, in order to understand how to interpret results, and users can opt out of viewing results for a condition for which there is no known treatment such as Parkinson’s and Alzheimer’s disease. Perhaps the most useful scenario for DIY genetic testing is for those who are planning a family, Janssens says. 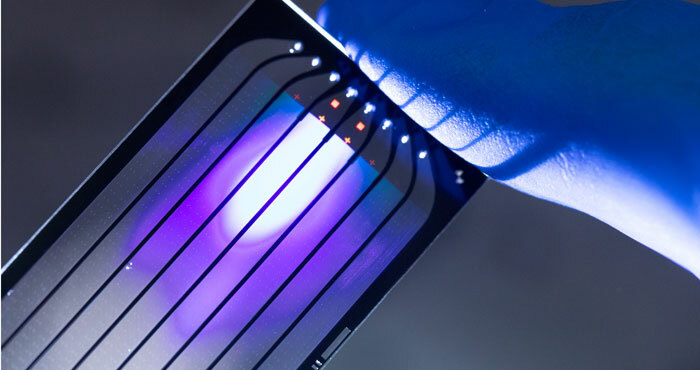 Some online genetic tests, such as Counsyl, are focused on offering prenatal genetic screening, including carrier checks that analyze whether you and your partner have recessive genes that together would elevate the risk of a certain disease in a future child, as well as non-invasive (mother’s blood sample) prenatal genetic screening that can reveal if there is an elevated risk of chromosomal disorders like Down’s syndrome. Our DNA plays a part in our tastes and preferences – for example, cilantro tastes soapy for those with a particular gene variant – which goes some way to explaining the recent rise of home genetic tests that claim to reveal lifestyle factors such as the wine flavors an individual will most prefer, or the type of exercise they're genetically predisposed to respond to. Helix is a recently launched platform that acts as a marketplace for DNA testing – users send in a sample of their saliva to be sequenced for 22,000 genes and hundreds of thousands more “regions of interest” in genetics research; they then pick from an array of third-party DNA tests that look for genetic markers for health conditions, physical characteristics (such as predisposition to male pattern baldness) and fitness-related traits. The diet app LoseIt!, for example, plugs into Helix to map out nutrition plans tailored to an individual’s genetic information. Janssens isn’t sold on these aspects. ““There is no scientific evidence that this can predicted. DNA is static – it isn’t a snapshot of how good or healthy your current diet is,” she says. Previous studies have suggested that being overweight is caused more by environmental factors – that is, one’s diet and exercise regime – over genetics. Even characteristics that are predominantly controlled by genetics – such as height – are subject to influence from environmental factors like nutrition. Vinome, which works with Helix to analyze DNA-based wine preferences, notes that its analysis is for entertainment purposes only and does not prevent users from enjoying all types of wine. It's a possible indication of the direction that DIY DNA testing could take, with its users able to order wines directly from Vinome that match their DNA-determined tastes. As with any personal information stored by digital service providers, the potential for these providers to share identifying data with other companies – or for the providers to lose it in a data hack – is of concern. The privacy advocate Electronic Frontier Foundation (EFF) notes that the existing laws dealing with DNA information fall short of protecting user privacy. Currently, genetic information stored by online genetics testing sites is not protected by the Health Insurance Portability and Accountability Act (HIPAA), which means that in theory, these sites can share genetic records with third-parties, limited only by their own terms and conditions. The underdeveloped regulation around genetic information also raises issues about how other institutions can use individual DNA details. Though the Genetic Non-Discrimination Act prevents employers and health insurers from using DNA information about health conditions, a bill that began circulating this year could allow employers to require that workers take a genetic test. Those who are planning on taking out life insurance might also want to reconsider taking a genetics test. Unlike health insurers, life insurers are able to require genetic test results in assessing a policy application – and certain DNA test results could increase costs or result in denial of coverage entirely. “Of concern is the amount of DNA information that a particular company holds,” Janssens says. For example, while third-party DNA testers on the Helix platform access a small part of DNA required for their report, Helix itself stores the entire length of genetic code it sequences, which can hold vast stores of detailed information about a person that could one day be easily unlocked without the appropriate legal and technological safeguards. “Given the lack of precise science for many of the things that are analyzed, that is a lot of information to give away in return for what you get,” says Janssens. After all, unlike other keys to personal information – like passwords – DNA can’t be changed. For the most part, online genetics testing companies state that they only share anonymized, aggregated data with users’ consent. 23andMe and Ancestry, for example, do sell anonymized, aggregated data to research institutions, non-profit organizations and other companies, but explicitly state they ask for case-by-case consent to share non-anonymized data with any other parties, including employers, insurers and marketers. DNA tests have the capacity to reveal a lot about who we are and where we’ve come from –especially as science discovers more precise ways that our genetic information can be used. But it’s worth remembering that whatever we are exposed to in daily life (such as the food we eat, the music we listen to, the sports we play) exert a major influence on how our genes are expressed. Many disease risks can be mitigated by the simple rules of healthy living – less red meat, more veg, more exercise - while a genetic propensity for weight gain might be totally offset by a lifetime of sport- and even that soapy cilantro taste could be appreciated over time. 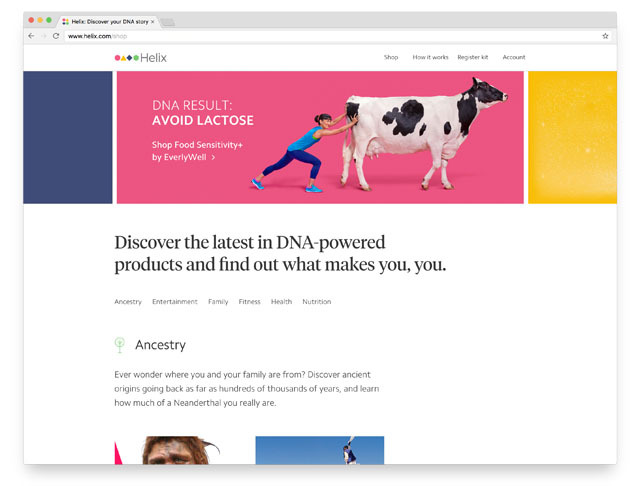 Offers: 75+ reports on ancestry, including the presence of Neanderthal in genetic makeup; health risks including the presence of recessive genes for inherited diseases; and wellness traits that range from a propensity for alcohol flush to sleep tendencies. To avoid trauma, users can choose to exclude Parkinson's and late-onset Alzheimers. The DNA Relatives tool can connect people with DNA in common if both parties have opted in. 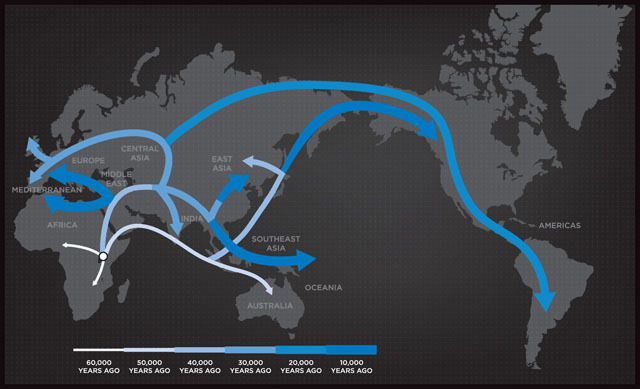 Offers: DNA information about ancestors from last 500-1000 years. Ability to build a family tree by combing huge catalog of immigration records, birth and death records, census data, electoral rolls, newspapers, and other directories. Offers: Matches those of African descent to their regional tribe on mother’s and father’s side, with the ability to pinpoint the modern-day country and ethnic makeup going back 500 to 2000 years. 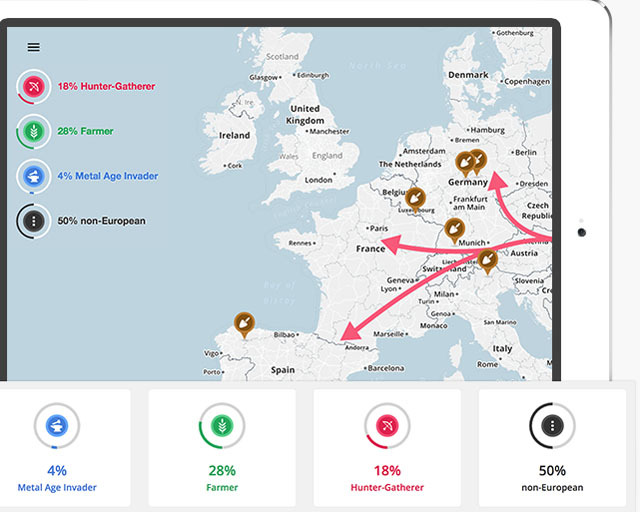 Offers: Can track where ancestors migrated as far back as 200,000 years, with hominim ancestry back 60,000 years, including the percentage of Neanderthal in makeup. Includes ‘Genius match’ for DNA similar to historical brainiacs like Einstein. Can connect with people who share parts of your DNA. First—the prices listed for some of the tests are promotional prices. For instance, genealogical testing from 23andMe is usually $99. They offer $69 sales fairly regularly, and for the next couple of weeks it’s $49 (2 kit minimum). I took the 23andMe test before the FDA put the kibbosh on their health tests. They’re back now, but in a far more limited basis. It’s interesting, and I see it as a health care tool the same as the blood pressure self-tests at Walmart—it empowers you to consider diet and lifestyle choices and to discuss risks with your doctor. And no, I don’t work for the company! As for finding your roots, about 18 months ago, I started researching my family tree using the free service FamilySearch.org. I found a lot of documents that helped me trace back several generations. Then I got to a pair of ancestors that I knew their names from their adult child’s death certificate but that was it. I found a likely couple via a marriage certificate, but I had no idea if I found the right couple. I was able to prove it—at least to myself—through DNA because several descendants of the wife’s sisters have done DNA tests through 23andMe. Here’s the challenge, though. The tests have been around for several years. Some of the people who took them may have done it on a lark and never intended to do more than get a list of health risks and see what their general ethnic makeup is. Those people don’t even list their mother’s maiden name on their profile. Some of them may have changed their email addresses and never get the inquiries I send through the site. Others may have died; genealogy tends to attract older people. Others may be like me; five years ago when I took the test, I had no idea I had Thompsons and Reids and Cumbaas in my family tree. So the names of my DNA cousins meant nothing to me. It really works best in concert with the old-fashioned paper trail of census records and deeds and wills. Only then can you figure out how you’re related to people with whom your common ancestor may be a great-great-great grandpa. About time someone clued us all in to the existence and pros and cons of the various ancestry services. I had no idea there were so many services with so many facets, and I’m sure most people don’t. This was fascinating. Thank you!